Apr 9, 2014 @ 09:00 AM — by Sharon B. Mateja, D.D.S. Lasers are being used with increasing frequency in the medical field, with diode lasers leading the way. The diode’s popularity is chiefly due to its versatility and efficiency. When it comes to dentistry, a laser can be used for incisions in surgery as well as for more routine gum treatments. Let’s take a moment to understand the breadth of the diode laser and how it can assist in your dental visits from Rancho Cucamonga dentist Sharon Mateja. One of the more commonly understood uses for a laser is to perform surgical incisions. This is equally useful for dental procedures. By using a laser in place of a scalpel, patients gain multiple benefits during the procedure and into recovery. Cleaner, more precise incisions: Using a laser allows dentists to make more accurate incisions, promoting the overall efficiency and effectiveness of a dental surgery. Pain reduction: Lasers can temporarily desensitize nerve endings as they cut, minimizing pain during a procedure and subsequent recovery. Teeth and gums can both benefit from this numbing effect. Minimal blood loss: Lasers also seal blood vessels, minimizing the loss of blood during and after the operation. Consequently, patients heal quicker and have a reduced risk of infection. While the above benefits apply primarily to soft tissue removal, lasers are also being used by dentists for the removal of hard tooth tissue. This aids in the reshaping of enamel for procedures like the placement of dental crowns or porcelain veneers, and allows for less discomfort when filling cavities. Speak with your dentist to better understand how lasers may be used within your own dental procedures. Brushing and flossing are often sufficient for managing gum disease. However, bacteria can easily accumulate in the pockets of patients’ gums, leading to gingivitis and possibly periodontitis. To prevent serious gum disease, dentists will typically use the deep cleaning method of “scaling and planning” - the physical removal of plaque and tartar buildup. Now, however, dentists are finding that lasers can also be used as a preventative measure against gum disease. By using a laser to eradicate bacteria between the teeth and gums, a dentist can inhibit the spread of disease. Additionally, infected tissue can be removed, leaving only healthy gum to protect patients’ teeth. Diode lasers also have their uses in cosmetic dentistry. 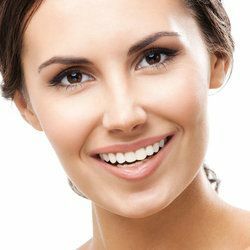 Patients seeking a smoother, more attractive gum line can benefit from gum contouring surgery, and the advantages of a surgical laser extend into this procedure as well. The removal of excess tissue: If gum tissue disproportionately covers the teeth, a laser can remove this excess tissue and promote fuller looking teeth. This can be performed in a single spot or over the length of the gums, enhancing a patient’s smile. Promoting an even gum line: Sometimes,a gum line is uneven or asymmetrical. Lasers can even out the edges of a patient’s gums, creating a more appealing curve along the teeth. As with other surgical procedures, lasers bring the added benefit of reduced pain and blood loss, making gum contouring a more comfortable experience. Our dentist utilizes the latest technology to bring you top-of-the-line treatment. Whether you need restoration, preventative care, or cosmetic dentistry, ask about how we can make your visit as comfortable and successful as possible. Schedule an appointment with Dr. Mateja today!